A rocking cradle or an empty bed. And a pack of thin, white tapers. And scrape of oars and the hefted nets and pots. Wet boots upon the beach. 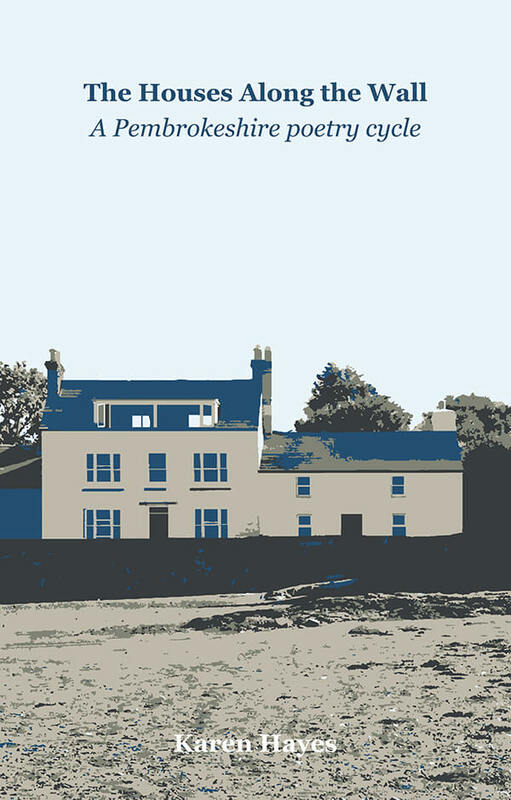 Karen Hayes created this cycle of poems as a fictional social landscape inspired by a row of houses along the coastal wall at the Parrog, near the small town of Newport in Pembrokeshire. What triggered Karen to write the poems were the little pieces of pottery which constantly wash up onto the beach at Newport Sands. The beach underneath the wall, the Traeth Mawr of the opening poem, is noteable for the shards of broken crockery that appear with each high tide. Karen could not stop thinking about the households who had originally drunk tea from the shattered cups and saucers and eaten their dinners off the dislocated plates. During holidays when her children were still small it was considered a great treat to rush out onto the mud after each high tide and search for new fragments which were hoarded, washed, stored and carried home in buckets and water bottles. The poems also serve to preserve the original houses along the wall in our memory as the author realised that increasingly tourism saved the area from falling into complete disrepair but also drove away the local population. The poems chart the simultaneous decay and preservation of a way of life through a mixture of snippets of conversation overheard in shops, fragments of local myths and legends which occur in photos and journals in the houses, conversations in local pubs about incomers and economic exiles, the poignant story of the disappearance and presumed murder of Suzy Lamplugh and, above all the way that her own children all grew up together across almost twenty summers. Powerful and moving these poems celebrate the history of the quintessential Welsh sea front at the Parrog. In His Cups and The Last House on the River were set to music and performed by Roddy Williams at the Wigmore Hall for its At Lunch season in 2014, broadcast live on BBC Radio 3 and The Belgians won our Foreign Voices poetry competition in 2017. The Houses Along the Wall – A Pembrokeshire Poetry Cycle was published on 20 September 2018. We celebrated the launch with a party on Sunday 7 October in the Commodore’s Lounge of the Newport Boat Club. For more information and advance review copies please contact the publisher: bernadette@hollandparkpress.co.uk +44 (0) 77 926 11 929.